He graduated from the Faculty of Law of the Charles University in Prague (Mgr. 2001, JUDr. 2004) and the Faculty of Finance and Accounting of the University of Economics in Prague (2002). He is a member of the Czech Bar Association under number 10316. He has been providing legal consulting since 1996. He gained professional experience from being involved in legal profession and from provision of legal consulting within the consulting company focusing on complex implementation of company transformation projects. 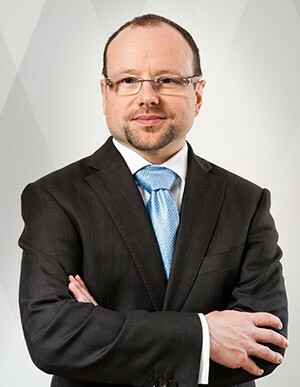 He is an expert in company law, mergers, acquisitions, company transformations, privatisations and operation of businesses supplying infrastructural services (water, sewage, heat), concern law, proceedings with the Commercial Register, trade relations of obligation, banking law with focus on cooperative savings societies, financial law, securities law, investment incentives, public contracts, PPP, licences.